In 2017, Joel Simon purchased an Outremer 55 Light catamaran listed for sale by Just Catamarans broker Larry Shaffer and sold through Just Catamarans broker Robert Taylor. The Outremer 55 Light, winner of numerous races is an ideal vessel for the performance minded cruiser. In 2000 she was honored with the Cruising World Magazine Award of the Best Cruising Multihull!. 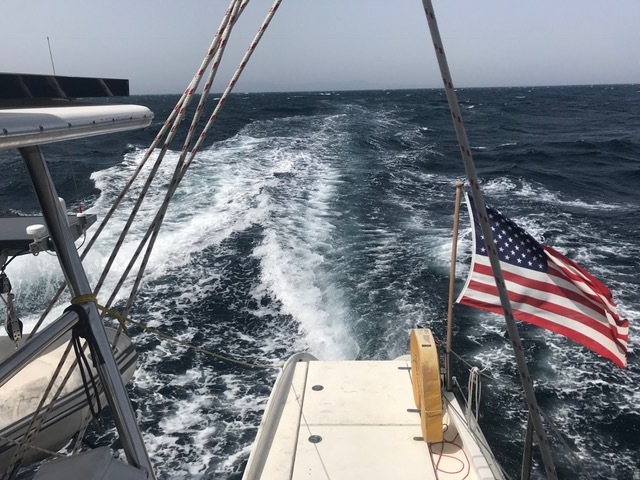 As all Outremers with her trademark sheer lines, she is equipped with twin daggerboards, which minimize resistance and allow for responsive and quick maneuvers under sail or power. As her sisterships, she was designed with full volume bows to prevent any tendency to submerge, even when pressed hard in stronger wind conditions. Seaworthiness and comfort has been achieved by minimizing wetted surface and centering the heaviest loads around the center of flotation.